Join this 3.5-hour river cruise including a large juicy burger and a drink of your choice! The cruise goes past all the main sights of the city between the Charlottenburg Palace in the West and the East Side Gallery and Oberbaumbrucke in the East of Berlin. 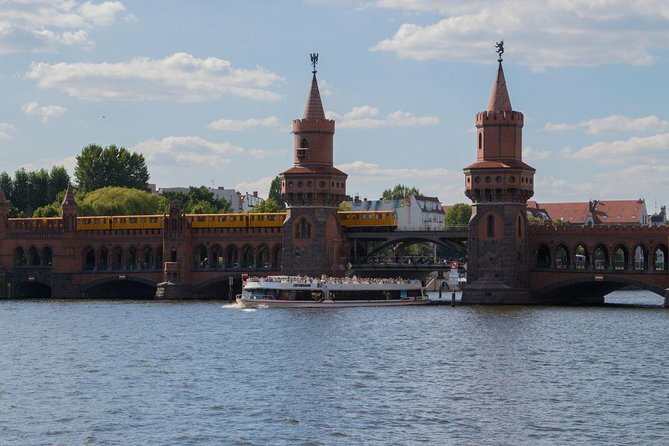 Enjoy the trip on one of the biggest and most beautiful boats in Berlin, "the Crown of the Spree", whilst learning about the city and its history. The tour is guided via speakers in German and in English.